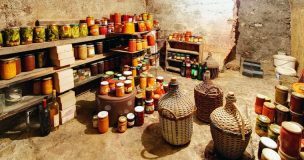 This article provides a short introduction to preserving food. It briefly describes the microbial activity that causes food to spoil, and what can be done to stop these bacteria from growing. The 12 most common methods of preserving food are listed, along with links to the longer articles that explore each one in more detail. 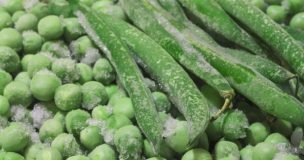 This article examines how freezing works, and provides practical advise for storing foods at home. I describe what effect freezing has on food, and which items should not be kept in a freezer. I recommend how to freeze foods to optimise their quality and longevity, and provide some tips on organisation. I also discuss food safety, and maximum storage times. 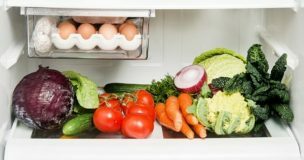 This article examines how refrigeration works, and provides practical advise for storing foods at home. I describe what effect refrigeration has on food, and which items should not be kept in a refrigerator. I recommend how to refrigerate foods to optimise their quality and longevity, and provide some tips on organisation. I also discuss food safety, and maximum storage times.